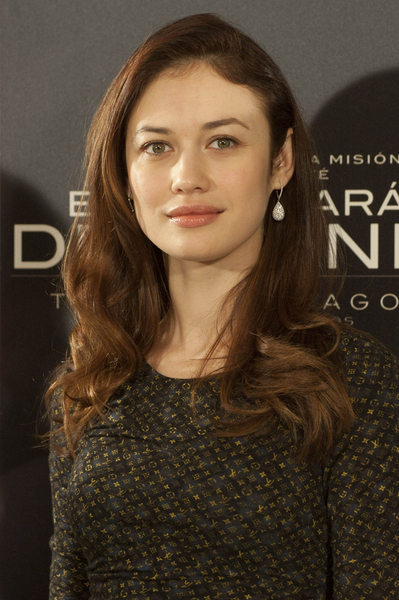 Olga Kurylenko Pictures: Actress Olga Kurylenko attends the "There Be Dragons" (Encontraras Dragones) photocall at the Villamagna Hotel on March 22, 2011 in Madrid, Spain. "There Be Dragons" tells the story of London-based investigative journalist Robert Torres, who visits Spain to research a book about Josemaria Escriva, the controversial founder of Opus Dei. But Robert hits a wall, both professionally and personally, when his most promising source-his own father, Manolo Torres, turns out to be his least cooperative one. Robert begins to unearth his father's toxic secrets when he learns that Manolo was not only born in the same Spanish town as Josemaria, but that they were childhood friends and attended the same seminary. The two men take radically different paths in life, with Josemaria dedicating his life to his faith while Manolo is swept into the brutal and tumultuous Spanish Civil War. Manolo descends into a dangerous and jealous obsession when the beautiful Hungarian revolutionary Ildiko doesn't return his affections and instead gives herself to the courageous military leader, Oriol. As Robert continues to unearth the secrets of Josemaria's life and Manolo's mysterious anger, their overlapping journeys are revealed with the truths and sorrows of their past choices, which compels Manolo to confront his own secret with one last opportunity of forgiveness. "There Be Dragons" opens in theaters on May 6.